From Producer Lisa D. Olken: There seemed to be agreement among many people that the Voluntary Relocation Program - which was a significant component of the 1950s U.S Government’s policy to dismantle the Indian Reservation system - was not being taught in schools, either to Native or non-Native youth. Many Native children had never heard of Relocation, and were unaware of why their parents moved to the city, even though 65% of all American Indians now live in urban areas. I wanted to produce a film that explored the intersection of historical memory and contemporary analysis, between how people felt before, during and after Relocation – alongside the stories that people tell themselves today, some forty years later. Would there be resolution or absolution? Would there be agreement or disagreement and would anyone even want to talk with us? The crew and I did not want to portray a stereotypical American Indian narrative of land loss, poverty, and scant resources. Instead, we were compelled to tell an honest and insightful story, filled with laughter, tears, courage, weakness, adaptation and resilience. Ultimately, the stories that I am most drawn to have the unique ability to cross-pollinate across cultures and ethnicities. They reveal uncomfortable yet universal truths about ourselves, even while making us grow into more developed human beings. I am honored and grateful that Urban Rez creates a larger window into the national collective of contemporary American history and the Native American’s urbanization experience, while also shedding light on a very significant population that is too often misunderstood or overlooked. 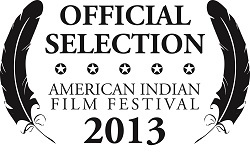 Selected for the 2014 American Film Showcase cultural exchange program in Kazakhstan. 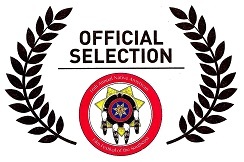 Executive producer and director, Lisa Olken embarked on a five city tour to promote the film as well as represent Colorado and America as an ambassador. Explore her tour here! Brings Plenty took a few moments to speak with ICTMN about his participation in the film and the effects it had on him as an artist and a Native person. Click here for the full story.